A lecture held in Moscow at the X. Astrological Congress „Uranus in Pisces“ containing some very basic information on the main technique of Munich Rhythm Theory as well as some of this technique’s historic context. It is demonstrated by thoroughly examinating the notorious fate of the famous Kennedy Clan. I would like to thank the organizers of this wonderful convention with its most appealing name and – as I understand – celebrating its tenth anniversary, for inviting me to talk to you, while I am in Russia. According to my astrological background I would most of all love to talk to you about the fundamental philosophical understanding that is the bases for all my astrological thinking and working. My first choice of a theme would certainly be “The Philosophy of the Zodiac”. However, to elaborate on the Philosophy of the Zodiac could not be achieved in a presentation like this. But maybe the same fate that has washed me ashore your vast and beautiful country will someday also provide me with an opportunity to elaborate on the philosophical grounds of this profound model of the zodiac which results in a very practical system, describing beautifully the workings of destiny, mind, soul and reality. For today however I chose to present to you a technique that I use as one of the mainstays of my work. It is not a new technique, but astonishingly one, which is nearly unknown to most astrologers, except for the so-called Munich Rhythm Theory, a school of astrology known and applied in Germany. Let me say a few words about cycles and rhythms in the horoscope. There is no need to explain to astrologers that all processes in this world follow cycles. All astrology is based on such cycles. Mostly they are based on the “REAL” cycles of our Earth, the Moon and the planets. The natal chart as well as the transits reflects those real cycles without any alienation. And we all know how much can be said already by the knowledge of these two alone. But we also use Secondary and Tertiary Progressions, which are still based on the “real” cycles, but experience a SCALING UP by a factor X. And we use Primary Directions where such scaled up cycles of the Sun are applied symbolically to other planets. All of us know that these seemingly arbitrary methods work, and work very well. What does this mean? Being neither physicist nor astronomer I nevertheless DO have the distinct impression that the world is arranged and organized in cycles. The music of Johann Sebastian Bach and the fact that human beings tend to experience this music’s beauty as a reflection of heavenly harmony, seem to confirm that. Not only seems the universe to be arranged and organized in cycles, but it also turns out that these cycles can be scaled up or down at any point of time and in both directions of our time. You know that already, as directions and even transits work not only in direct but also in converse movement. In the same way any symbolic cycle may be scaled up or down by various sizes and in both directions of time. This way we have multitudes of rhythms being effective parallel. In astrological terms this means that any event happening at a certain point in time, will show reverberations through time, which may be examined under different rhythms and in both directions of time. By different rhythms I mean rhythms based on different cycles and on different scaling of these cycles. For example one may look at an event in a rhythm that equals one house to seven months or to seven years, or to 49 years (7×7). Or one may equal one house to ten months or to ten years, or to 100 years, and so on. So there are two main factors: the nature of the rhythm itself, e.g. seven-rhythm or ten-rhythm and the scale of the rhythm, months, years or greater. It turned out that the most important of these rhythms for the overall experience in life is the Seven-Rhythm. So let’s talk about the seven rhythm in the horoscope. Throughout the history of mankind “seven” has always been considered as a somehow special number. The idea to incorporate a seven-cycle into the horoscope is not surprising. Whoever has had the idea first, it was the German astrologer A. Frank Glahn, who first introduced it in published form in the beginning 20ies of the 20th century. I have learned by the way that Frank Glahn was well-known and mentioned by your famous Russian astrologer Kallert (Каллерт). 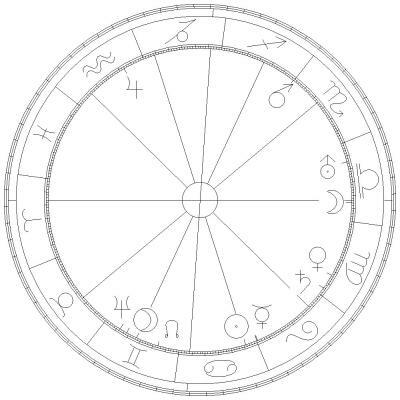 The horoscope is to be read like a clock of life, starting from the Ascendant in clockwise direction, as if a pointer was moved through the chart at a certain rate. In the first edition he used a rhythm of 25 years per quadrant, which equals 8,33 years per house, inspired by the Indian Upanishads assuming a life-span of 100 years. This rhythm however never really won hold in the astrological world. 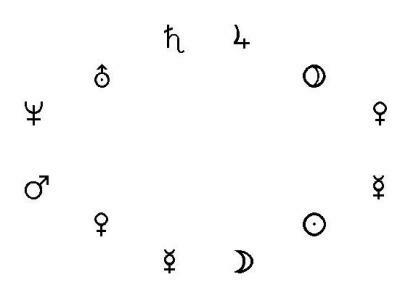 In the first edition he already additionally describes and uses the seven-rhythm, applying it to the signs, meaning 1 sign equals 7 years, starting from 0°Aries and following this rhythm in both directions of the zodiac, clockwise and counter-clockwise. One of Glahn’s pupils, Rudolf Engelhardt (eigentlich Friedrich Rudolf Engelhardt – Heilpraktiker, Astrologe und Chirologe, 12.8.1894-12.12.1990, Bingen a. Rhein) continued to work with the seven-rhythm and modified the method by applying it now with the key 1 house equals 7 years, instead of 1 sign, and starting from the Ascendant rather than 0°Aries. Engelhardt spoke already of the planets being “triggered off” or “activated” by following this rhythm through the chart. In the 3rd edition of the same book, published in 1928, Glahn already incorporated the findings of Engelhardt and described them in addition to the other rhythms used by him. – A kind of “pointer” is directed through the chart, in both directions. The clockwise direction is also called right rhythm or fate rhythm. The counter-clockwise rhythm is also called left rhythm or phenomenal rhythm. – The main rhythm experienced in life is the seven-rhythm, although other rhythms are in use as well. 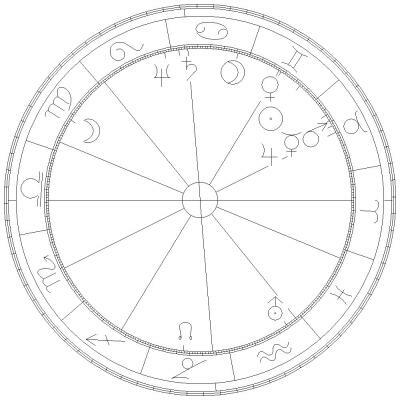 For a birth chart this means: 7 years per house = 84 years for one full cycle of the chart. the 10th and 3rd house describe the years 14-21, and so on. – Each of these seven-year-periods is dominated by the ruler of the sign, in which the starting point for this house lies, according to the examined direction. This planet is called “phase-ruler”. – The house position of the phase-ruler defines the main or primary plane of events and developments in this seven-year-period. – Obviously there are 2 phase-rulers and 2 main planes of events for each 7-year-period, one for each direction. – The phase-ruler gets triggered off within this seven-year-period according to its relative position in his own house. If the house, in which the phase-ruler is positioned, has 35 degrees, and the planet is positioned 17.5 degrees from the house cusp, the planet gets triggered after 3.5 years, half of the seven-year-period. In the period from 0-7 years this would be with 3.5 years, in the seven-year-period from 7-14 this would be 7+3.5 at age 10.5. – Not only the phase-ruler gets triggered, but all planets that are forming an aspect to it by conjunction, opposition, square or antiscia (including squares and oppositions to antiscia). A trine works as a mediator to another aspect-formation and can trigger the other formation. – Any planet positioned in the house of a seven-year-period gets triggered when it is met directly by the “pointer” moving through the chart. So do planets in aspect to the directly met planet, but they are experienced less intense. A planet met directly in a house activates the sign ruled by it according to the meaning of the two houses involved and triggers the planets in these two houses. When Uranus is met directly in the counter-clockwise rhythm, that is the left or phenomenal rhythm, and Aquarius is at the cusp of 5, we would formulate: Uranus activates 4 to 5. When the Moon is met directly at the age of 9.26 (7 + 2.26) it activates house 10 to 9, and at the same time “transports” the planets in the 10th on to the 9th. Thus Neptune and Saturn are triggered in the sense of 10 to 9. For Neptune this means activation at the age of 12.18 (7 + 5.18) Thus we have for this period a kind of aspect of Neptune-Saturn-Pluto. – There are some more subtleties of the technique and the additional technique of the Septars, which I am unfortunately unable to explain today. But I estimate that this is enough for an introductory short summary of the main factors of rhythmic activation. The best and fastest way to explain the method will be to apply it to a specific chart. I have been pondering on which one to choose for a presentation. You know better than I do that there are not many charts of well-known Russians with undisputed birth-time. So I decided for a chart that will allow me not only to demonstrate a technique but also to show a little of the ways of reading a chart using the principles based on Rhythm Theory. There is a well-known American family that has never stopped attracting fascination, a family that combines in a rare manner public power and personal tragedy. Some even speak of a curse weighing heavily on this family: the noted American family of the Kennedys. Before examining some of the rhythmic activations in the chart of John Fitzgerald Kennedy, short JFK, I would like to shed some light on the family background and its so-called “curse”. Astrologically it is a history of Saturn-Neptune running through the generations. Following some notes on the nature of this aspect I shall trace some rhythmic activations in the chart of JFK and trace some of the workings of Saturn-Neptune in other family members’ charts. What does a tense aspect of Saturn and Neptune mean for the individual? To understand this, we have to look at the zodiac as a path of development and evolution. Starting from the 12th house, the way from Neptune to Uranus to Saturn describes the beginning evolution of everything that is going to come to life in the further process of this emanation. The all-potentiality of the 12th (Neptune) proceeds to an individual origin in the 11th (Uranus) and gains determination and individual fate in the 10th (Saturn). In other words: The potential of “Great Oneness” (Neptune) divides at some point into duality and polarity (Uranus). If from the numinous all-oneness of the Neptune nothing would ever originate into duality and polarity of Uranus, it is clear that no creation could ever follow. In the further process origination has to be limited (Saturn) in order to allow for individual determination and fate. Only by a determination of limits things can gain a form and exist. Under this premise, tense aspects of Saturn-Neptune (including conjunctions and antiscia) signify that the way, in which potential originates in an individual way, is blocked. The potential is blocked already at its origin and therefore never reaches its destiny in Saturn, as family and surroundings of the child do not let it happen. They obstruct the individual talents, endowments and destiny that need to originate in the child, sacrifice them in favour of family interests. The child takes over the family repressions and obstructions and is prone to become sacrificed as a scapegoat at the altar of familial interests. Saturn-Neptune is the aspect describing the ancient mechanism of sacrificing someone to the gods to spare a collective or a clan the consequences of its deeds and thereby to uphold a way of life against the will of heaven. If the individual is however despite this aspect able to originate its own endowments and fate, e.g. as a young adult after freeing himself from manipulations, it cannot be sacrificed. This would of course go against the interest of the clan. When Saturn-Neptune becomes chronic, we see Saturn-Pluto. Saturn-Pluto is based on an unresolved Saturn-Neptune theme of the ancestors. Now let me tell you the story of Saturn-Neptune as it developed in the Kennedy family. During the great famine in Ireland many of the poorest immigrated to the United States, often simply to avoid dying of hunger in their homeland. So did the Kennedys who had been potato farmers in Ireland and so did the Fitzgeralds. It is said that both families before uniting had made their wealth by bootlegging booze (= smuggling of alcohol). John Francis Fitzgerald, called “Honey Fitz” whose father had come to the US during the great famine in the 1840ies (1845-49), started what was soon to be called a “Royal Family” of Boston. He was deprived of proper formation by the early death of his parents, which forced him to bring up his younger siblings. Nevertheless he managed to start a career all by himself, became a successful rich entrepreneur plus a very influential politician, being Mayor of Boston, Senator to the State of Massachusetts and US-Congressman. He was the one who started the tragedy that came upon his descendents. In his chart we find Saturn-Neptune. This aspect signifies a state of belonging to a minority with a mentality differing from the society one lives in, a state without any social status. At these times in Boston Irish were a despised and unwanted minority completely dominated by the “Boston Brahmins” (the upper caste), that is by the Yankees. If one has Saturn-Neptune, one does not belong to the collective one lives in, and one has no social status at all. If resolved, this aspect gives tremendous originality, fantasy and creativeness, the ability to provide society with a truth that is only accessible, if you remain outside the values of the masses. The aspect can however be compensated – contrary to its real challenge – by amassing power and status against all odds. And this man did! Starting from scratch, before he was old, people began to refer to his family as an “Imperial Dynasty” or “Boston’s Royal Family”. He had achieved that from a status where Irish were not even able to mingle with Yankees and could not get any good jobs. By this first-class-compensation of his Saturn-Neptune the inner challenge had of course not been met. The aspect was unsolved, the necessary experience was simply repressed, and the aim of the aspect was not achieved, namely to bring new creative impulses to a society while remaining outside. He had used all his fine gifts to compensate and to achieve power and status, of course not without using illegal methods and heavy corruption. As a consequence he passed Saturn-Neptune on to his daughter Rose who had Saturn-Neptune as well as Saturn-Pluto. Things had gotten worse. Saturn-Pluto says that her own fate and destiny are denied. This shows in the events of her early life in a way, typical for Saturn-Pluto. In a promising beginning and against the wish of the Catholic Church her father sent his daughters to visit a public school and Rose was supposed to go to Wellesley College, the first American University that would fully educate women the same as men. As a young girl Rose, because of her mother’s reluctance to leave the hearth, became her father’s official companion, hostess, and assistant on his travels of political and commercial character, which included worldwide trips. But then her father, being put under pressure, denied her education at university and instead sent her to a Dutch convent school of nuns. She never forgave her father for that. Her fate and destiny which would have completely differed from the life, that her mother had lived, were sacrificed at the altar of family interests and power. She married Joseph Patrick Kennedy, by then one of the richest men in America. The potato farmers from Ireland had meanwhile become politicians and bankers, had gotten there within two generations, just like the Fitzgeralds. Two families of immense struggle for power united. Rose finally led a life as a devout Catholic, to the degree that she was made a Countess by Pope Pius XII in 1951. She mothered nine children, but is described as a cold mother. All her talents and endowments had not originated in her life; instead she repeated the model of her mother’s life and raised her nine children like a general. If the stream of development is blocked on the way from Neptune to Uranus to Saturn, and further on to Jupiter to Pluto and finally to Venus-Aphrodite, Pluto signifies no longer the riches that come from the hidden world of Hades, signified by the 8th, into the presence of the 7th house. In such a case Pluto rather signifies the blockage and repression and displays in a perverted form. Thus her Pluto-Neptune became religious obsession, her Uranus-Pluto become a secret hate of men, her Pluto-Saturn turned into negation of the destiny of her children, by sacrificing them just the way she had been sacrificed herself, in order to fulfil the claim for power of the clan, signified by Pluto-Venus. To that avail she pulled the strings behind the scene. As her endowments are not lived, Pluto qualities pervert and she manipulates the lives of her children. From here the tragedy that had started with Honey-Fitz’s ambitions and had already spoiled the individual originality of his daughter Rose, really starts to spread further to the descendents of the couple. Before she dies at the age of 104, she buries 4 of her 9 children who all fell victim to tragedies. She passed on her unresolved Saturn-Neptune to her children, at least to 4 of her sons and a daughter. As we know, John F. Kennedy and Robert F. Kennedy were murdered by bullets, the eldest son Joseph Jr. died in a detonating airplane in World War II on a dare devil mission that had suicidal traits. They all had Saturn-Neptune. Daughter Rosemary was slightly retarded or maybe only dyslectic. This seemed to be unbearable to her father and his ambitions, and he made her undergo lobotomy, after which she got much worse and was hidden from the world for all her life. She had Saturn-Neptune, too. The fourth son Edward crashed with a plane and barely survived, having his back broken. Daughter Kathleen died in an airplane crash in 1948 when she was on the way to reconcile with her father who had strongly opposed her marriage. JFK’s son John Jr. also died in an airplane crash together with his wife and sister-in-law at the age of only 38. One of JFK’s sons, Patrick Bouvier Kennedy died after only 2 days. He had Saturn-Neptune as well. The list of tragedies is much more extensive than that. But this gives already a good clue to what is happening. In Saturn-Neptune the problem arises as Uranus’ origins are not lived. Uranus activation would be a time to free oneself from Pluto’s programmes and from being sacrificed under Neptune-Saturn. But many times Uranus expresses in a functional form instead. Rather than creative originality Uranus now signifies annihilation, sudden dispersing of life, all as an ultimate consequence of being sacrificed according to Saturn-Neptune. Thus one might even say that an airplane crash is an ultimate Uranian neurosis, as Uranus is not lived according to its content, but only in a formal outer way, e.g. in flying. Between Neptune and Saturn we have a kind of “fall-out” of Uranus to the earthly functional level. This can among other things be an airplane crash, a functional Uranus falling from the sky. This is the explanation for the frequent occurance of airplane crashes in this family. They are a functional expression of Uranus, which is “missing” between Neptune and Saturn. Joseph Sr. and Rose’s eldest son was Joseph Jr., JFK’s elder brother. From the beginning he was supposed to become president of the United States. His grandfather “Honey Fitz” after his birth immediately informed the press, that his grandson would one day be President of the United States of America, and that he would study at Harvard University, where he would play in the football and baseball teams and gather academic honours. Following he would be a captain of industry, until it was time for him to be President of the United States for two or three terms. On the way he might be Mayor of Boston and Governor of Massachusetts for a while. Joseph Jr. obediently fulfilled those expectations and was brilliant at school and in sports. When his younger brother JFK became a war hero, his father exploited this chance and promoted him with all available PR methods. Thereby he put the two brothers into a kind of competition. The older brother Joseph Jr., who had already served in the army, joined the forces again and volunteered for a dare devil assignment. Small airplanes were loaded with ten tons of TNT each and programmed for German rocket positions. The pilots should bail out, jump off the plane after having activated the mechanism. The chances were 50/50 that the plane would detonate at the moment of activation, while the pilot was still aboard. Joseph Jr. nevertheless decided for that mission and blew up over South England. At this time his Uranus in the 5th was met directly in the counter-clockwise left rhythm. Uranus relative position is 1.07 years in this direction; that is shortly after his 29th birthday (28+1.07). This is exactly when he blew up with the plane. Uranus in the 5th is life-threatening if compensated. It is the annihilation of life as the ultimate freeing from the programme of Saturn-Pluto inherited from his maternal line. Now it was his younger brother John F. who was to step in for his elder brother. The same expectations were suddenly loaded upon his shoulders. He was aware of that and mentioned to a friend soon after his brother’s death, that it would now be his turn, that the “Old One”, his father, would now want his life. Just like in his brother’s chart JFK’s Uranus is also met directly in the left rhythm at the time of his brother’s death in August 1944. Its relative position in this direction is 6.13 years, so it is triggered at the age of 21+6.13, that is shortly after his 27th birthday. Uranus in 4, a sudden change in his family is going to effect his own life expression in the 5th. This Uranus activation was his chance to say no, to free himself from Saturn-Neptune’s role of victim to the family’s aspirations for power and social status. He was financially independent; he was already a prominent and successful author of books. By his destiny he was a writer. He had the talent to reveal the hidden workings of power and to describe and explain international politics. His first successful book on international politics was published when he was only 23. He was really talented. He even won the Pulitzer price for one of his nine published books. But – he gave in to the pull of the family programming, the family model. This pull is very, very strong and only few ever manage to escape. It is very interesting to note the story of that prize-winning book, which is a story of Mars-Uranus and closely connected to his disease. Mr. Kennedy was a very ill man during all his life. Many people would be astonished to hear that he received four times in his life the last sacraments. All his diseases were kept from the public. He was the perfect if adored victim of his clan. The book-story is part of the story of his triggerings of Uranus. When Uranus was triggered for the first time in 1937 at the age of 20 he was diagnosed with colitis and was prescribed steroids. At the time Uranus was triggered in the left rhythm with Jupiter in 8 as phase-ruler for the years 14-21 (14+6.13=20.13). Colitis by the way is often Uranus-Mercury as in this case. The colitis and its repressive treatment are correlated to the unsuccessful attempt at liberation. This would have been a transitional time adequate to Uranus-Mercury, which is always a time of transition and continued maturing, regardless of age. In this instance it would have been a time to find his origin and destiny at the verge to adulthood. The colitis shows that he could not break free to a fresh origin. Instead Uranus as well as Saturn-Neptune displayed as illness. Parallel we find in the right rhythm Neptune-Saturn triggered. They are met directly around the age of 20 (14+5.18).The autoimmune factor of the disease as well as the prescription of steroids corresponds to Neptune-Saturn. Neptune activates Pisces and houses 6 to 5. A lack of perception and over-adjustment to the conditions of life dissolve his self-expression in 5. Saturn activates Capricorn and houses 4 to 3. The false destiny planned by his family (ruler of 4 in 10) gets functional in 3. This was certainly the time when he found himself in midst of a university education that met the expectations and plans of the family-clan, instead of his own true destiny. Uranus’ defeat in breaking free from the wrong life, which John F. Kennedy had begun by actually pursuing the political career designed by his family, showed again in illness during the next activation of Uranus, this time by transits. By that time he was already member of the US Senate. Increasingly troubled by his injured back, he underwent spinal surgery in October 1954 and February 1955. At the time mundane opposition of Uranus-Mars transited natal Saturn-Neptune. And as always, when Saturn-Neptune is not resolved, Uranus shows in a functional way. In this case the spinal surgeries correspond to Uranus-Mars in a twofold way, as Uranus-Mars is connected to the spine as such, as well as to surgery. Uranus-Mars is also connected to a weakness in decision and to the problem of being deprived of self-determination, a problem that tends to result in being controlled from outside or even being assaulted. If unsolved, this problem easily leads to the “planned assault” of surgery typical for Uranus-Mars. NOW GUESS: During his long convalescence he occupied himself by writing a study of notable acts of political courage by eight United States Senators. This book, published in 1956 under the title “Profiles in Courage”, received the Pulitzer Prize for biography in 1957. It was HIS Mars-Uranus-theme of weakness in decision and lack of courage in terms of self-determination, and he wrote it during convalescence of an illness and surgery directly connected to this Mars-Uranus-theme and its activation by transit. When he finally announced his candidacy for President of the United States in the beginning of 1960 Uranus was again triggered, this time in the right rhythm by Mars being the phase-ruler of the years 42 to 49 (42+0.87= age 42.87). In a parallel activation Mars was triggered in the left rhythm at 42+0.62=age 42.62, again by Mars, ruling the years 42 to 49 in both directions. The plane for this 7-year period is accordingly one of aggressive preparation and planning of power. When true destiny is excluded, Mars in 8 will show in destruction, as all the repressed will become reality in a violent way. As we have seen, Uranus and Mars are triggered parallel right at the beginning of this period. It is no wonder that his inauguration speech included the announcement of a space programme under this Mars-Uranus presidency. As I pointed out Mars-Uranus can be the tendency to attract assaults if the individual origin is not lived, and often it signifies a situation of a “weak king and strong princes”. We know today that the CIA and the Mafia were such “strong princes” and that his leadership never was an actually strong one as it was not self-determined. Inauguration to office took place in January 1961 exactly when Jupiter was triggered in the left rhythm at the age of 43.63 (42+1.63), again by Mars, which is phase-ruler of the years 42 to 49 also in this direction. Mars as a ruler of 7 in 8 can also be seen as the public ideal, the model – in this case of a strong man (Mars-Uranus compensation) and charismatic man (Mars-Jupiter). So, when Uranus-Mars was triggered this time he announced his candidature and thereby complied with the wishes of his clan, he was no longer even fighting. He was now fulfilling the role given to him by his family, replacing his elder brother Joseph Jr. who was supposed to become President of the US before he died so early in his dare-devil-mission during war. Uranus is ruled by Saturn, which is a Saturn-Neptune in the 10th – signifying JKF’s presidency of the United States, a Sun-in-Cancer-country, which has also Neptune at the MC and Saturn in 10 (in the version I use). His assassination on November 22, 1963 at the age of 46.5 falls into the same 7-year-period with Mars in 8 being phase-ruler in both directions, as the left and the right rhythms obviously meet and cross at the age of 42. One could draw the conclusion that the candidature to his presidency that had taken place exactly during the activation of Mars in 8, had already decided his fate, if not a miracle of self-liberation would happen. At the actual time of his death his natal Sun in 8 was activated by the direction of natal MC 1°per year meeting the Sun directly. The chart of the assassination has Saturn-Neptune as well with Saturn at the Ascendant. Sadly the main story of his life was the innate problem of Saturn-Neptune. A life according to his own original fate and talents, in his case obviously to be a brilliant writer on political topics and analysis, were going to be sacrificed by the clan, in his case by the family clan to achieve power and social status to compensate a feeling of being outcast minority, a feeling dating back to the time of immigration as poor and humiliated minority. Thereby he fulfilled a role that had before been assigned to his elder brother Joseph Jr. Kennedy whose life it cost, and which was afterwards transferred to his younger brother Robert F. Kennedy, who had also Saturn-Neptune and whose life it cost as well when Robert was assassinated shortly before his official nomination as candidate for presidency. If Saturn-Neptune is not resolved by conscious comprehension, Uranus will manifest functionally in the form of illness, plane accidents, surgery and so on, as is demonstrated so dramatically in the examined charts of this family. When JFK during WWII barely survived the sinking of his torpedo boat after collision with a Japanese war ship , the event chart showed Saturn-Neptune with Uranus at the Ascendant. 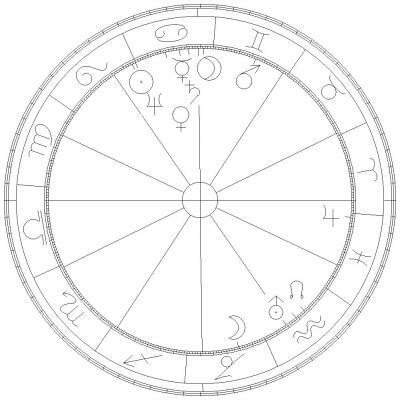 In his own chart Neptune of Neptune-Saturn was activated by a trine to triggered Venus. Flooding, sinking is of course another main expression of Saturn-Neptune. When JFK was assassinated the event chart showed Saturn-Neptune with Saturn at the Ascendant. When Robert Kennedy was assassinated, his natal Pluto, ruler of 8 in 4 aspecting Saturn-Neptune was triggered. When Patrick Bouvier Kennedy, son of JFK, died after only 8 days, his natal Sun was triggered right at birth, aspecting Saturn-Neptune. When Joseph Jr. crashed with his plane loaded with explosives, the event chart showed Saturn-Neptune-Mars. The so-called curse of the Kennedys to us astrologists turns out to be an astrological aspect that is passed on to the next generation without being resolved and therefore can be traced in its destructive form through the generations. To all of us this can be an inspiration to look at our tense aspects, to try to comprehend them and resolve them, so that they will not be destructive but will put us under the shelter of truth, under the shelter of heaven. I hope that I was able to convey to all of you at least some idea about a precious technique of detecting dynamic chart evolution, which I personally would not want to miss at all. This is only the basic technique. There are quite some more with different accents, building on the main principle. They can help us to complement the information, which we gain from transits, progressions and directions. To me they have – together with transits and directions of AC and MC – become the most important of these dynamic methods.